Rock Breaker – Shree Amee Construction Equipments Pvt. Ltd. Pure Hydraulic technology gives consistent performance on every blow. 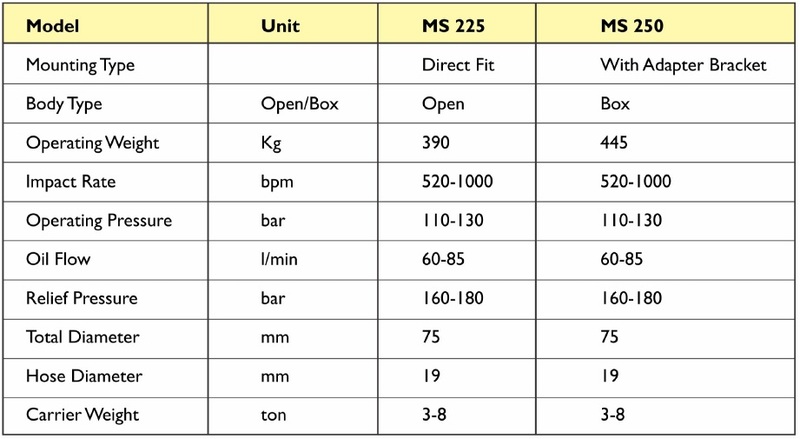 Low fatigue on base machines. 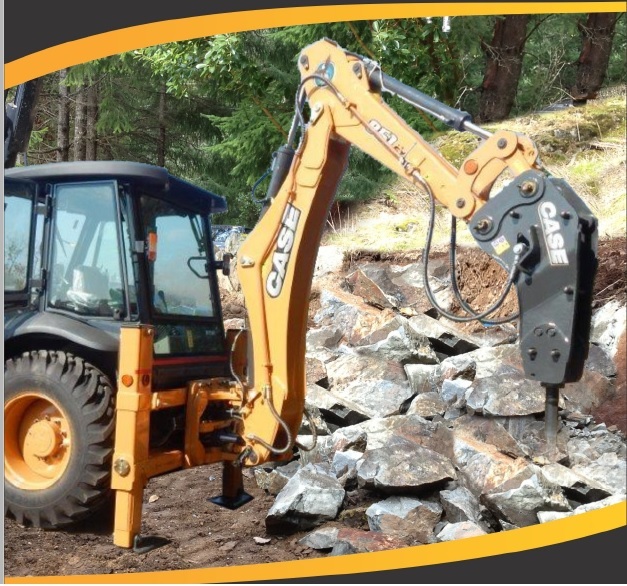 CASE Rock Breakers provides optimized rotation angles & allows a wide range of work positions. Fully enclosed power cell for maximum component protection from work materials. Sound absorbing elements inside housing, lowers noise output for sound sensitive applications.